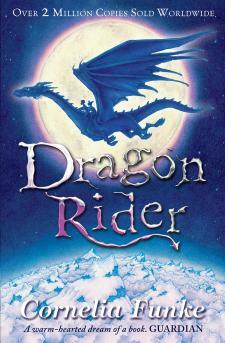 The Dragon Rider is a story about a dragon called Firedrake. He sets off to find a place called The Rim of Heaven, a hallowed place where dragons can rest in peace from humans. On the way there, they aquire a boy named Ben who half way through the story think Ben used to be the legendary dragon rider. They also aquire an evil creature called Nettlebrand who's desire is to eat dragons. Will Firedrake overcome this evil creature or will Nettlebrand eat all the dragons? I'm not going to tell you, so you will have to read the book to find out!